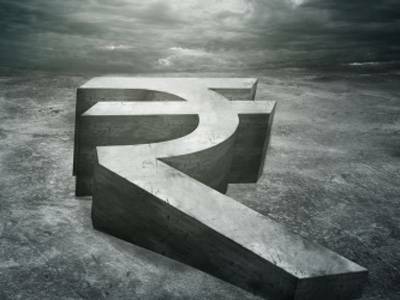 A strong rupee has emboldened Reserve Bank of India to relax some of the foreign exchange related restrictions including the individual overseas remittance limit of $75000 per year which has been hiked to $125000. The central bank has also allowed foreign institutional investors to hedge their investments plus and additional $10 million using exchange traded currency derivatives. It has also promised to allow domestic entities the same flexibility. The overseas remittance limit comes under the liberalized remittance scheme (LRS) which was reduced to $75,000 last year when the rupee was in a free-fall against the dollar. "In view of the recent stability in the foreign exchange market, it has been decided to enhance the eligible limit to $125,000 without end use restrictions except for prohibited foreign exchange transactions such as margin trading, lottery and the like," RBI said in its bi-monthly policy statement today. Besides raising the limit the earlier directive that the remittances cannot be used for acquisition of immovable property outside India is absent. Bankers feel that this means that the $1.25 lakh can now be used for buying property; however, they are waiting to read if there is any fine print in the notification. "The measures with respect to outward remittances and currency markets reflect both, the significantly improved confidence in the country's external position which allows reversal of the extraordinary measures taken last year, as well as the focus on developing deeper onshore markets," said Chanda Kochhar, MD & CEO, ICICI Bank. The central bank has allowed foreigners and non-resident Indians to take out currency worth Rs 25,000 out of the country to facilitate their travel requirements. Earlier the limit was at Rs 10,000 and was available only for Indian residents. This facility is however not available to citizens of Pakistan and Bangladesh. Money changers say that Indian currency is already being exchanged in several foreign cities and the liberalized scheme will increase the acceptance of the rupee. The stability in the forex market has also encouraged the central bank to open exchange traded currency derivatives for foreign institutional investors. "With a view to improving the depth and liquidity in the domestic foreign exchange market, it has been decided to allow foreign portfolio investors to participate in the domestic exchange traded currency derivatives market to the extent of their underlying exposures plus an additional US$ 10 million. Furthermore, it has also been decided to allow domestic entities similar access to the exchange traded currency derivatives market." RBI said.